Has Dolby® announced that it will no longer offer its VM600 Program Optimzer for sale? Yes. In October 2018, Dolby informed its customers that VM600 will be withdrawn from sale on January 15, 2019 and withdrawn from service on January 15, 2022, and that no new features will be added between these dates. Is Minnetonka’s AudioTools Server a recognized alternative to VM600? Yes. Dolby cited AudioTools Server as an option for VM600 customers in their announcement. Are VM600 and AudioTools Server essentially the same product? No. While both VM600 and ATS are software products designed to simplify and automate broadcast audio workflows, VM600 is a dedicated solution to provide file-based CALM and EBU loudness analysis and correction, upmixing, and encoding, decoding, and transcoding between the most common audio formats including most Dolby formats. AudioTools Server is a scalable automated file-based audio ecosystem using modules of our own design as well as those from partners in the industry, including Dolby. Will AudioTools Server do everything my VM600 did? Absolutely! AudioTools Server supports every integration, file format, and Dolby encoding/decoding option available in VM600, but offers additional features and capabilities. Migrating all of your DP600/VM600 profiles to ATS can be part of your AudioTools Server project. 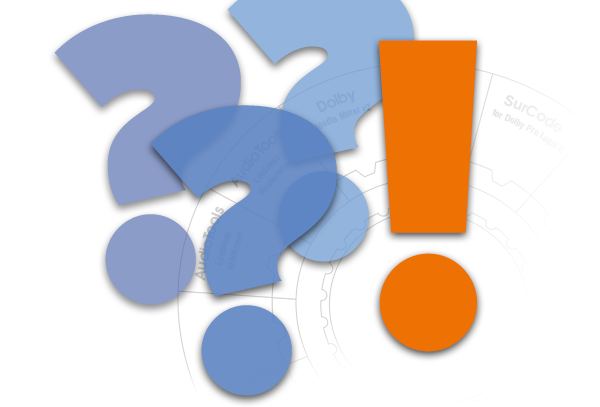 What additional functions and capabilities does AudioTools Server offer? ATS adds a host of valuable features. These include load balancing, the option to license through a physical USB dongle in addition to a license server, local data storage along with FTP and SFTP, access to QuickTime ProRes containers, support for 32-bit PCM audio, more flexible scalability, and the ability to conditionally process complex files. Is there a more detailed comparison available? Yes. A full comparison is available here. Where can I learn more about AudioTools Server? You can visit the Minnetonka Audio website or download our white paper which explores how AudioTools Server makes the most of automated file-based workflows. How can I purchase AudioTools Server? AudioTools Server is available directly from Minnetonka Audio. Because each system is highly customized, your journey begins by working directly with one of our sales specialists. Are there any special promotional offers for current VM600 customers transitioning to AudioTools Server? Yes! You can get AudioTools Server for free when you trade in your current VM600 license or DP600 hardware. Contact our sales team to learn more.